Laura McGiffert Slover is the President and Chief Executive Officer of CenterPoint, and all of its subsidiaries. Laura began her career in education as a high school English teacher in Colorado, where she saw first-hand the power of great teachers to prepare all students to achieve success regardless of their zip code. She then spent 16 years at Achieve, a bipartisan education reform organization that supports states in building systems of quality standards, assessments, and accountability. In 2009, as senior vice president, she led Achieve’s efforts to support the development of the Common Core State Standards, and in 2010 she helped launch and subsequently led the Partnership for Assessment of College and Careers (PARCC), a consortium of states working together to develop a common assessment system. As a former teacher, she believes in the importance of regular information to power decision making for educators and families. 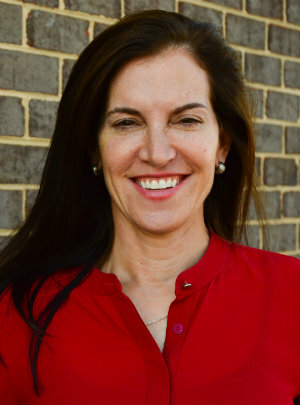 Laura earned her bachelor’s degree in English and American literature from Harvard, her master’s degree in education curriculum and instruction from the University of Colorado at Boulder, and her master’s degree in education policy from Georgetown. A native Washingtonian, Laura was a mayoral appointee to the District of Columbia School Board in 2007 and subsequently was elected twice to the State Board of Education. She remains engaged with the District of Columbia Public Schools, where her daughter attends fifth grade. She is a member of the national advisory board for the National Outdoor Leadership School (NOLS), on the Board of Trustees of the College of the Atlantic, and an Aspen Pahara education fellow.